YouTuber Tom Scott won’t have any problems reacting to anything on social media with his emoji keyboard. 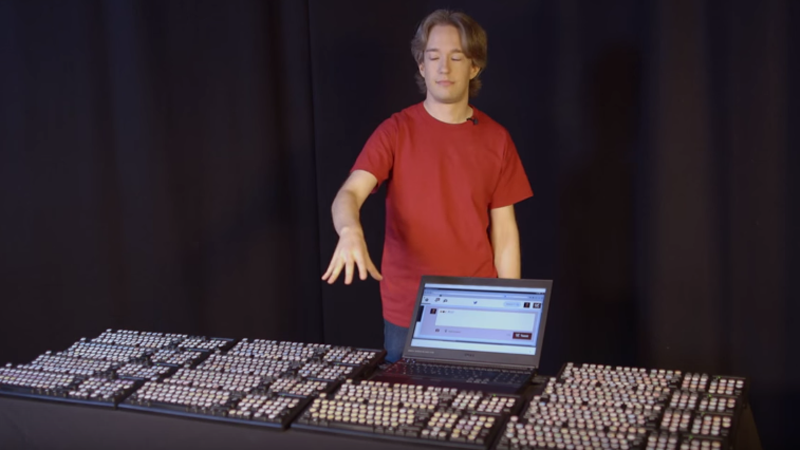 That’s 14 individual keyboards synced together with over 1,000 keys bound to emojis. This is the most ridiculous thing I’ve built in a long while: a full-size, real-life emoji keyboard, made of 14 keyboards and over 1,000 individually placed stickers. And yet, it’s got everything from Unicode 8 — but not yet the candidates from Unicode 9. I might need another keyboard for them, next year. Finding the proper reaction during a discussion might take some time but who said it’s practical at all.